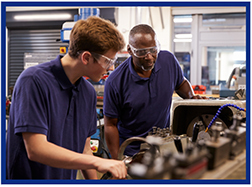 Chubb Small Commercial Insurance now offers more eligible lines of business for manufacturing risks and Artisan contractors. Additionally they now offer Workers Comp for Restaurant risks. Check out the full list of eligible businesses. If you have any questions about Chubb or the Small Commercial product, please contact Big "I" Markets Commercial Underwriter Tom Spires at tom.spires@iiaba.net or Claire McCormack at mailto:claire.mccormack@iiaba.net. Flooding is the most common natural disaster in the United States, affecting every state. In addition to hurricanes, flooding can be caused by rainstorms, snowmelt, runoff created by wildfires and much more. Everyone lives in a flood zone - it is just a question of whether the home is in a moderate-to-low zone or high risk area. While flood insurance is typically required on properties in high risk areas, people outside of high-risk areas file over 20% of NFIP claims. 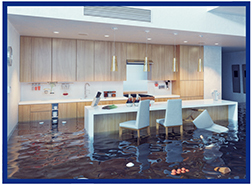 Chubb offers flood insurance to affluent homeowners through Big "I" Markets. Join BIM and Chubb on Feb 21, 2019 at 2 p.m. Eastern for a free webinar providing an overview of flood insurance available to your insureds through the Chubb affluent program. Register today. There is no cost to attend; please note this session is open only to registered Big "I" Markets agents. Big "I" Flood program partner Selective has an important new tool to share with Big "I" member agents. 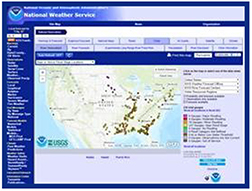 The Advanced Hydrologic Prediction Service (AHPS) is a new and essential component of the National Weather Service's Climate, Water, and Weather Services. AHPS is a web-based suite of accurate and information-rich forecast products. They display the magnitude and uncertainty of occurrence of floods or droughts, from hours to days and months, in advance. These graphical products are useful information and planning tools for many economic and emergency managers. These new products will enable government agencies, private institutions, and individuals to make more informed decisions about risk based policies and actions to mitigate the dangers posed by floods and droughts. Check out the Advanced Hydrologic Prediction Service. To view areas of imminent concern, change "all locations" from the top menu bar to "near or above flood stage locations." The majority of the observed water level data displayed on the AHPS web pages originates from the United States Geological Survey's (USGS) National Streamflow Information Program which maintains a national network of streamgages. In addition, real-time water level information is collected from other federal, state, and local streamgage networks. Big "I" Flood and Selective's relationship helps deliver members an unparalleled flood program experience. Together, we offer agents several layers of support to meet their flood insurance needs. The Big "I" and Selective staff can help with all of your flood questions. With personalized support, competitive commissions, and an easy-to-use quoting platform, it is an easy decision to start writing your flood business through the Big "I" Flood-Selective partnership today. Learn more at www.iiaba.net/Flood or contact BigIFlood@iiaba.net. Introducing Coalition Cyber Liability through the Big "I" Markets platform. Gain an understanding of how to enter business into BIM, be redirected to the Coalition website, view the automated risk assessment process, bind coverage and launch epay collection process for premium, taxes and fees. Congratulations to this week's winners - Mary Catherine Shaver Frey (LA), Wendy Jeffries (MO), Meghan Yochum (OK), Katie Vaughan (TX), Jean Persons (NC). Congratulations to our agent in Ohio on a Bond sale of $29,643 in premium!